Miami Hurricanes Long Sleeved Bike Jersey with Free Shipping. 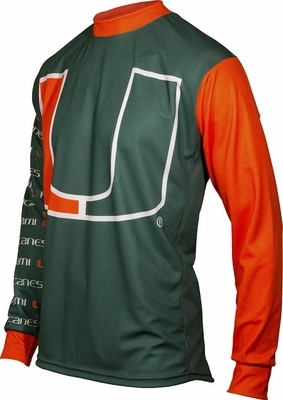 These great College long sleeve mountain bike jerseys are great for both a ride or a tailgate. 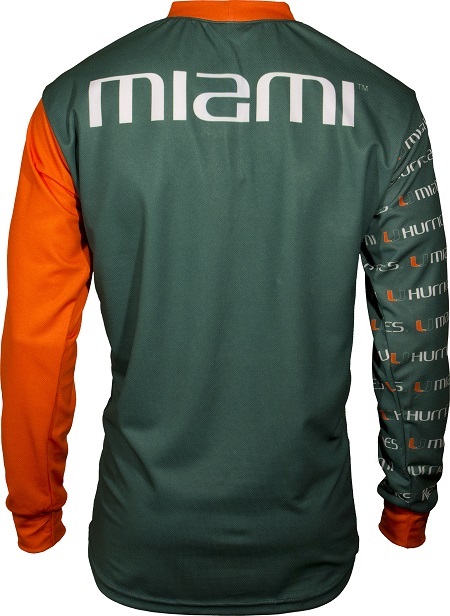 They have sublimated graphics and ventilated side panels. The moisture wicking Dry-Sport material pulls sweat from the body for rapid evaporation. Dri-fit is also 4-way stretch and UV rated to 30 SPF. This technical garment provides reduced weight for increased comfort. Jerseys will not shrink or fade. 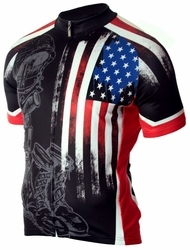 These jerseys are usually shipped within 1-5 business days. One Year Warranty on all of the products we sell.